I love the depth of your post here. Would be interested to learn about your advertising, what worked and didn’t. Can you describe the details of your advertising? Quitting my job and working for myself in my own dog training business was the best decision I ever made as well. I’m glad you’re having so much fun. All I do for advertising is hang up fliers and hand out business cards and brochures. Other than that I have a web site that ranks high for Google terms like Fargo dog runner or Fargo dog walker. Craigslist also works well. Thanks, Ty! I’m glad you’re having fun as well! Great post, and good for you! I worked for myself for almost a year and really enjoyed it. One day, I will do it again! What did you do when you worked for yourself? What a great blog. It has given me the inspiration to do this myself with my partner. Well done, and keep walking and keeping all those dogs happy. Just want to ask you, if I may, I’m finding it hard to set up my blog properly. Have you any ideas to make this a bit easier? Well, I see you’re using Blogspot. I have a few Blogspot sites, but I don’t do a whole lot with them, so I am not the one to ask. 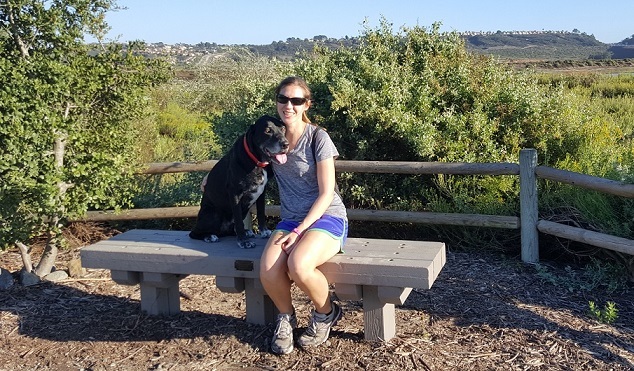 For my dog walking site http://www.runthatmutt.com, I just bought the domain name for a few dollars and then used a free WordPress blog template on it. If you want to use Blogspot, I’d just find a site on there you admire and ask that person what they did. Good luck with your dog walking business!! What do you do if you get sick? Who walks the dogs for you? Good question. That is when it is a good idea to have a contract worker or employee. I haven’t been sick since I started walking dogs. I do take vacations and time off, but that can be planned so people have time to make other arrangements. I had a much more boring workload than you – I was a freelance writer and analyst (statistics and other numbers-related gobbledygook). I would like to be a pro golfer or surfer now or just golf and surf every day instead of work! That would be awesome if you could be a pro golfer or surfer! 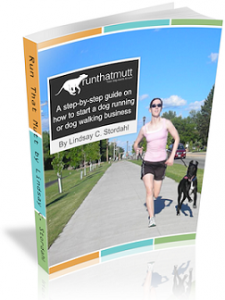 Lindsay, great advice for anyone thinking of starting a Dog business of their own. You certainly can’t beat working for yourself, whatever field it may be in. No office politics and no need to answer to “The Man”. Being your own boss actually makes you more determined to succeed. You know that all your work pays off and it is you that reaps the rewards not someone else. I would advise everyone to go for it if they possibly can. You may start off a little poorer but you will be determined to succeed. Thanks Three Dog. That is what I was trying to say. I love your post! I said before that I wish I could run and I have zero lung capacity on one side, but I shocked me the other day! I drove 1 1/2 hours to get to a shelter and there was a dog there that they told me was unadoptable because he is high energy. We started out for a walk and he wanted to run. I was in flips flops and it was muddy and crazy out. We ran anyway. He wore out before I did. There is something about a dog that makes me well again. Makes me well and happy! i forgot! when i began dog walking, i never had to go back to the chiropractor again. i had been seeing a dr for back and neck pain for years. dog walking fixed that problem. it had something to do with sitting in a chair doing accounting at work all day or something. That’s great, Lori! A dog is never unadoptable because of high energy! The dog just needs someone willing to exercise it. I’m glad your back and neck are better. Humans were not meant to sit in a chair all day. Thanks so much for the writing compliment, Mayra! I just about work for myself now. Making my way in the online game of niche blogging. Not as rich as I once was (yet) but slowly getting there. Certainly better than construction work which I have been doing on and off since I moved to Spain. High temperatures and mixing concrete are NOT a good combination! I guess you know the sense of satisfaction of knowing you have built something from scratch because of your own hard work and knowing that it will never disappear if you keep doing the work. Whatever type of business you run it is so much more rewarding to know it is from your own work and your time is not being dictated by someone else. Girl, Im so proud of you, for what you have achieved and your willingness to share that. When I worked shift-work, I would of gladly paid someone to walk Chels as there were times I was asleep when the rest of the world was awake. Perhaps there is an area for you to work your magic, nurses, factory workers, emergency services (police etc) as there are times when you dont have a choice in shifts and Chels used to miss out or Bella would take her walking. With 2 Danes it would of been near impossible. I loved this post for the content and the effort you put into all your posts, your love of dogs and happiness comes through in all you do. Thanks so much, Abbey! I would have loved to walk Chels. I think you have a good point about the nurses, factory workers, etc. I’m glad to hear that things aren’t urgent yet, and you are thinking of what you are passionate about. I can’t wait to hear what you figure out. I wish you the best. This is an awesome post. Thanks for sharing your experience. I, too, am deciding to go full-time with dog walking. Money is a slight concern, but I’m pretty sure it won’t take long to build up a clientele. Especially since I’m living in a big city. And, I’m unhappy with the weird dynamics occuring at my “office” job. I think I’m just going to take a leap of faith! Great to hear, Sharon! I hope your dog walking business works out. Let me know how it goes! One way to look at it is knowing you can always get a part-time job if you need it down the road. You will be happier doing something you love and the added part-time job would just be temporary. 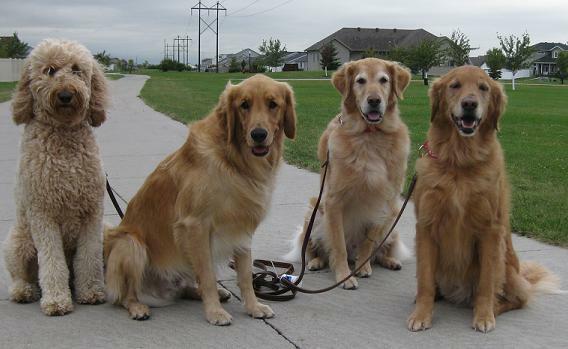 Hi Lindsay, I decided to start up my own dog walking business three weeks ago. It’s been a very slow start, as I’ve not gotten my first client yet and I am wondering what further advice you can give me? I’ve put up tons of flyers and done the Craig’s List Ad and have the website. I’ve got the Google Analytics for the site and despite the fact people are indeed taking the tear-offs from my flyers, hardly anyone is coming into the website. I am in a big city too (Chicago! ), and I realize the market is somewhat saturated. So I have been also trying to think of services to offer, that the others do not. But again, despite my marketing, I’m not getting the people into my site. Any input would be greatly appreciated. Thanks! Congrats on starting your business. It will be slow at first, but if you stick with it and really love what you are doing it will work out. If you haven’t hung up fliers or dropped off biz cards or brochures at all the local vets offices, do that. Advertising at the dog park also works well. I use the plastic, three-ring binder sheets over my fliers to protect them from the rain and hang them with zip ties. I would also schedule a weekly appointment or two appointments a week to run or walk rescue dogs in your area for free. Ask the rescue if they will put a link to your web site on their web site. I’ve gotten a lot of clients that way because passionate dog people are always checking the rescue web sites. Offering pet sitting or other services will help, too. Hi Lindsay, great post 🙂 I’m in Miami and am doing all the research to start a dog walking/dog camp/cat sitting service. My husband and I are just about to move to one of the most dog friendly buildings in Miami (think big dogs, no problem!) which is full of young professionals. I’m really excited about the idea because we already work from home with another business that is more my husband’s and we have our little daughter at home as well so I figured this would be a great idea. What suggestions would you have to start out? I’ve got a dog walking book already ordered from Amazon and have been doing lots of research including polling dog owners at the building but could use more ideas. Thanks and keep up the great work! Sounds like you have everything figured out already and are doing a lot of good things. I would ask people specifically what they’d want for their dogs and try to be as flexible as possible for offering different services. For example, someone might want your dog to stay with you or someone might want you to just check on their dog two or three times per day. Some dogs might need medications, etc. You could offer to take them to a nearby dog park. And some people will want you to walk their dogs alone with no other dogs, so make sure that is an option for people with very strong, hyper or aggressive dogs. Is it possible for a dog runner to ride a bike, or rollerblade, if the dogs are well behaved? Of course! You can do whatever you want! Just be careful because most dog’s are not well behaved! I frequently walk/run my friend’s dog and love it. I live in a small apartment complex and can’t have a dog of my own. I am thinking about starting a dog walking business, but do you think it will hurt my credibility with clients that I don’t have a dog of my own? Maybe, but honestly, most people won’t even ask. They’ll just assume you have a dog. If you volunteer at a shelter and walk some of the worst dogs it will help your credibility. Or if you’ve owned a dog in the past. Really interesting read, great for startups out there! I live in a condo and there is a huge amount of residents in my development and the neighboring development as well. I was thinking of starting a little dog walking business just for my neighborhood and the one next door. I see and know people who walk their dogs in both neighborhoods. I have not had any experience in working for a shelter or at a dog walking company but i have owned dogs my whole life and own a dog now who has been quite a challenge to train but is getting there :). Would not having experience at a shelter or anything to do with dog walking affect my chance of successfully gaining clients? You should be OK because you still have experience with your own dogs. You should know whether or not you can handle big dogs that are poorly behaved. Get site, glad I came across it. I love dogs, have three and would like to soon have a 4th. I am working on a 4 year plan (that is when my children will be out of college) and am hoping to have a Dog Walking Business up and running at the end of that period of time. I am already doing many of the things you suggested and appreciate the additional suggestions as well. Your recommendation to volunteer at local dog shelters is excellent. It is one of the most rewarding mission fields I have ever stepped into! I still have a lot to accomplish, but I’m excited about the endeavor that awaits. Thank you Colleen. I’m really glad I am able to help. Good luck with your goals. The only issue right now is money. I have a mortgage and a car payment. Plus my fiance is kinda iffy about it because he wants to make sure we will be able to afford our bills and pay for our wedding in July. So I have been researching online about this and that is how I came across your website. I am hoping to get a really good business plan down so that when I do quit my job I know that I will be able to pay my bills and my wedding! I would have employees working with me that would also be walking dogs too, so I would be making money from them and also have someone to cover for me in case I need someone. Do you have any advice for me? I appreciate any help that I can get! It does take quite some time to get going. My advice is to stick with it if you really love what you are doing and it will work out. 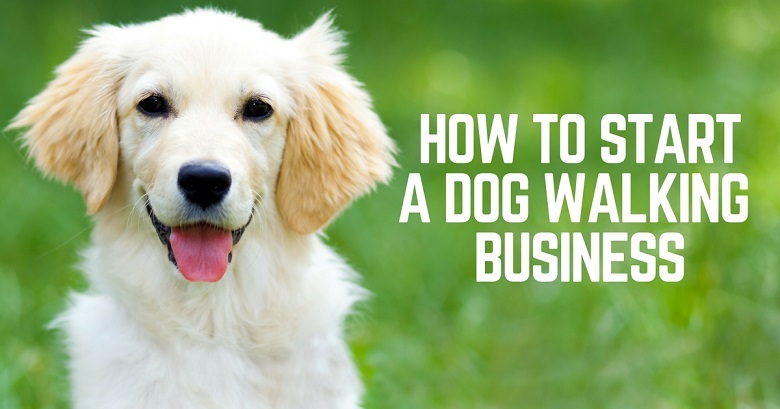 If you are concerned about money, it might be easier for you if you start your dog walking business while you are still employed. Then as you have more clients, either quit your current job or switch to part time. You can always take on an extra part time job for awhile if you need extra money. Even if it’s something like delivering pizzas at night, at least you know it will only be temporary until you reach your goal. I read all your advice – and it really helped. Thanx. I have always loved animals – an animal nut! I have 2 boys aged 5 & 8 and am studying 1 day a week. I was thinking about starting a small dog walking business for some extra pocket money. 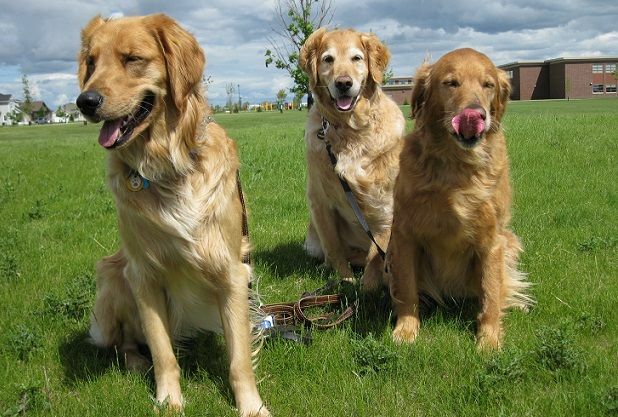 From your knowledge do you think that it is possible to manage a dog walking business aroundother responsibilities.